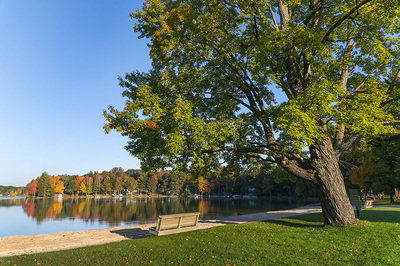 Now accepting 2019 reservations! 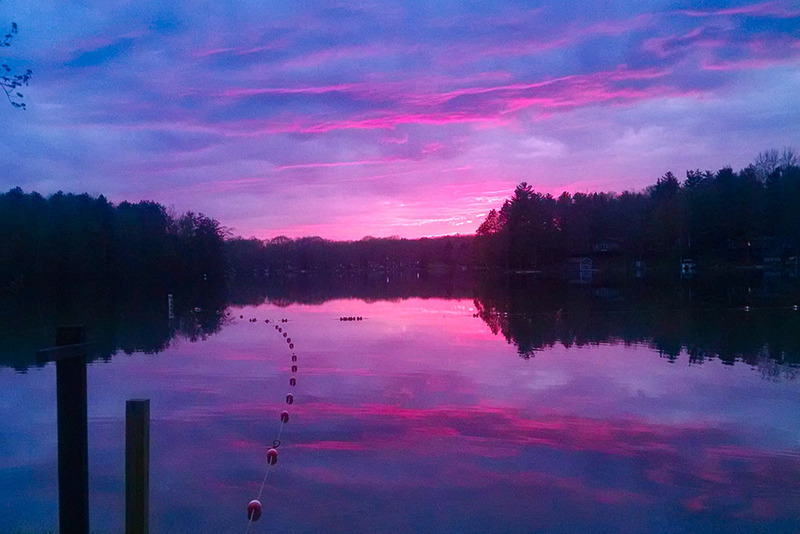 Click the reservations button below to schedule your visit! 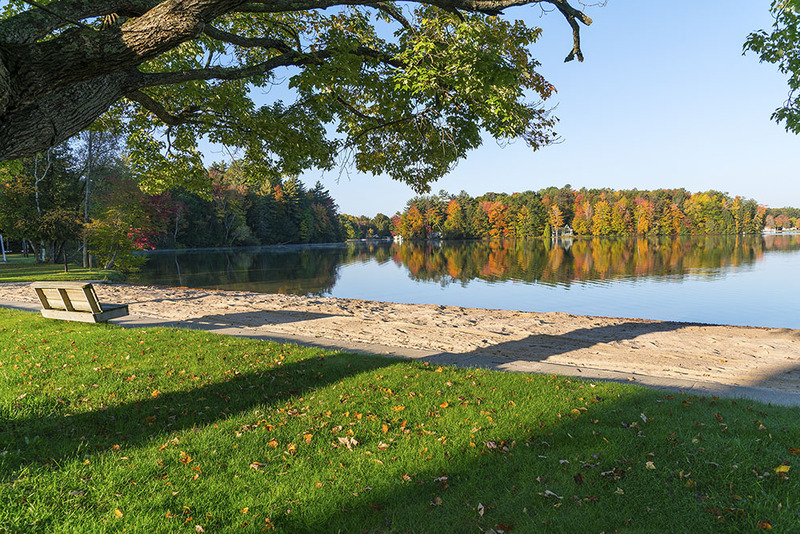 School Section Lake Veteran's Park ​is a pleasant combination of history, nature, camping, and family fun! 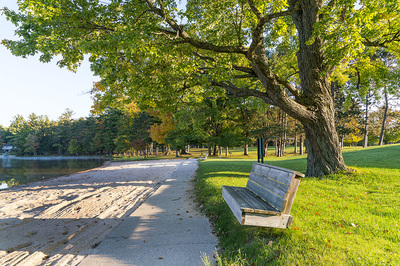 The trademark feature of the 86-acre park is our large sand swimming area, beach and historic fieldstone concessions building. 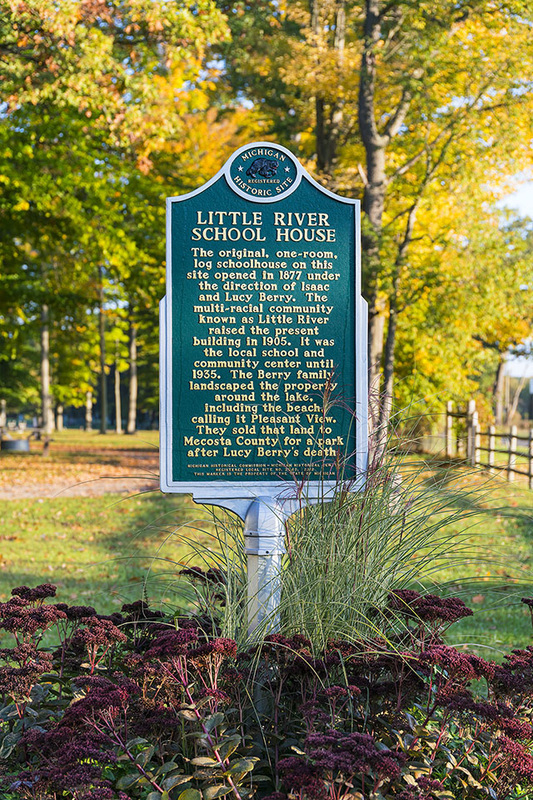 The park is home to an original one room schoolhouse which continues to offer educational summer programs. 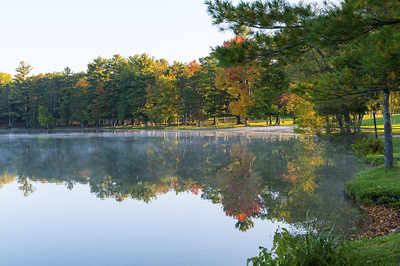 School Section Lake is also home to our Family Group Camp, which is in a secluded section of the park and offers a unique outdoor experience for larger groups. 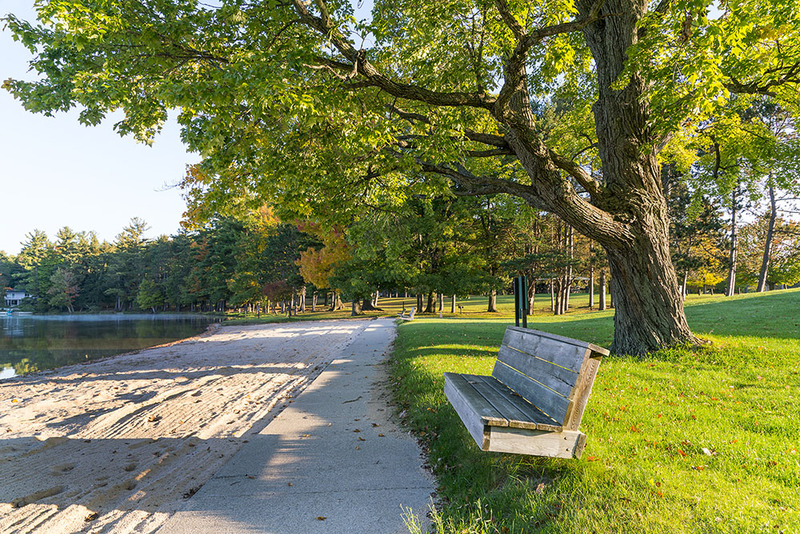 School Section Lake Park is the most family oriented park in our system. The park hosts many seasonal programs, special events, arts and crafts, and sporting opportunities. 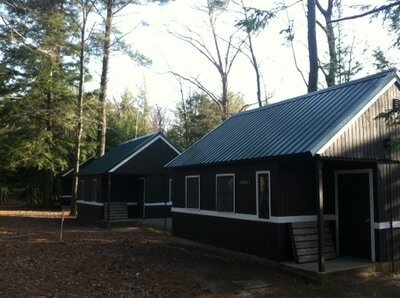 Cabins - For cabin information Click Here. 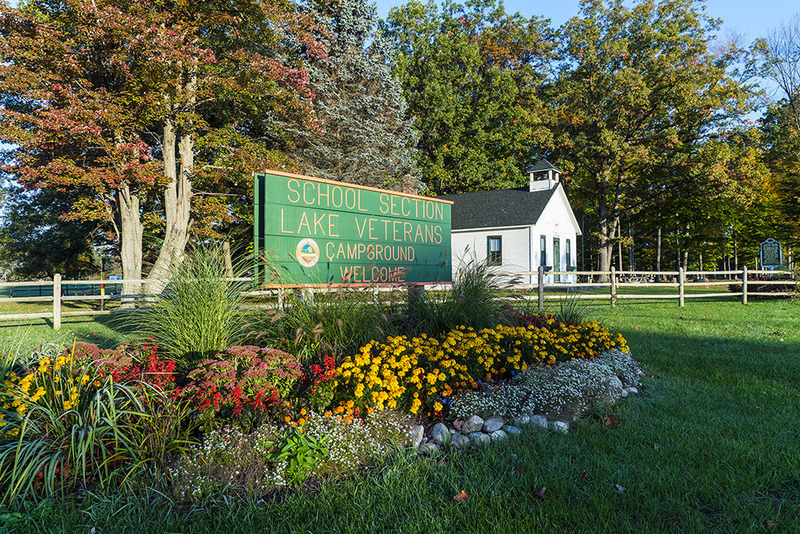 School Section Lake Veteran’s Park offers 162 campsites and five cabins. The park also contains two modern cabins with upgraded offerings. There are three modern toilet buildings in the park with showers and flush toilets. ​All campsites have electrical hook-up and a water outlet. 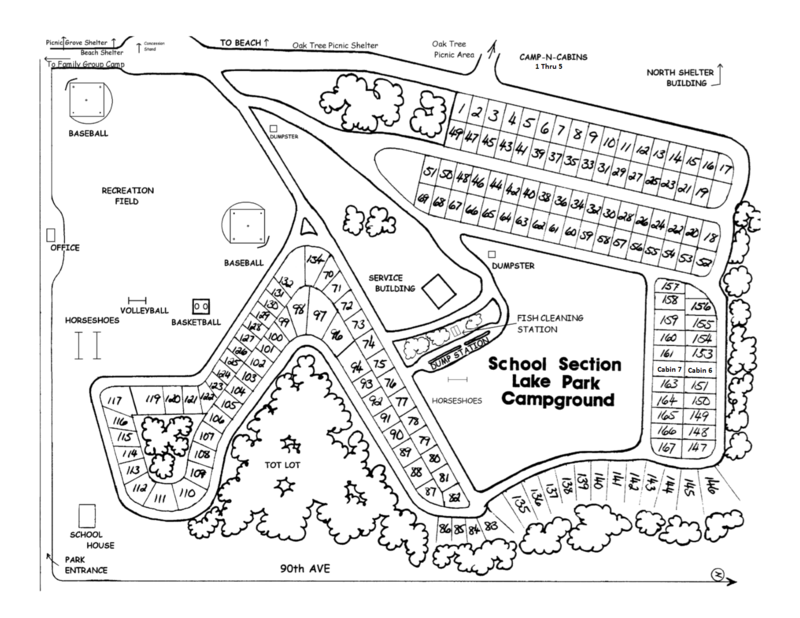 Campsites 1-69 also have full hook-up. 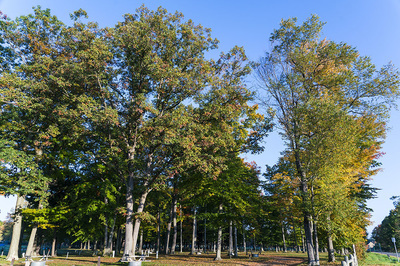 Vehicle Permits are required for entrance in addition to camping fees. No pets allowed at School Section Park. 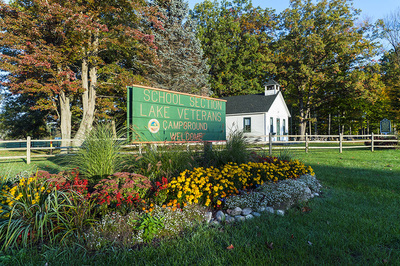 School Section Lake Veteran's Park offers 97 seasonal campsites. If you are interested in becoming a seasonal camper, information can be obtained at the park office during the camping season or by calling the parks administration office at 231-832-3246 during the off season. 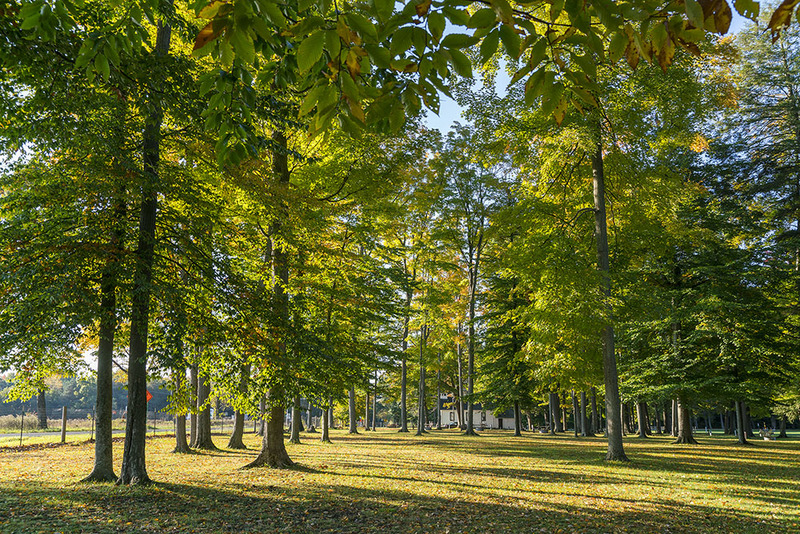 The park offers 4 picnic shelters for rental. 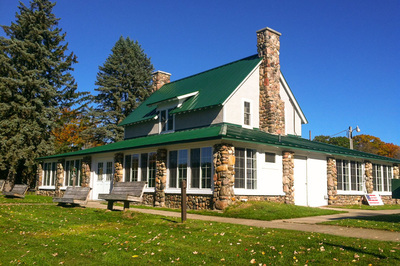 Each pavilion contains picnic tables and a large charcoal grill. 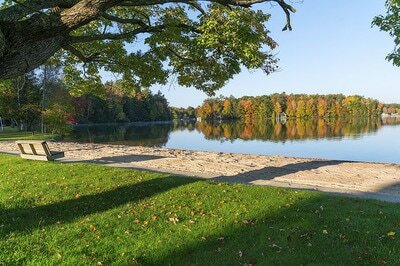 If you're looking for a unique place to host your gathering, we can help. The Family Group Camp is located in a secluded corner of School Section Lake Veteran's Park. The camp has six 18' x 24' cabins, with electricity. 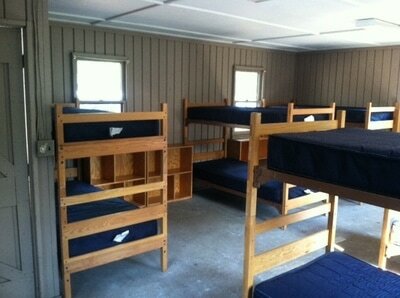 Cabins have twin bunk beds with mattresses and sleep up to 72 guests. Mattresses are provided, however you must provide your own bedding (blankets, sleeping bags, pillows.) A modern restroom building is on site. 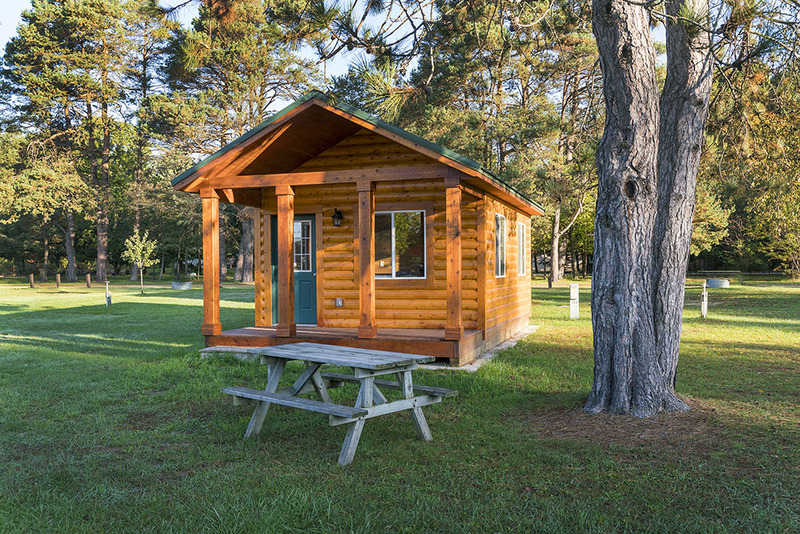 Our 30' x 40' log lodge has electricity, a fireplace, kitchen & dining area with seating capacity for 100 people. 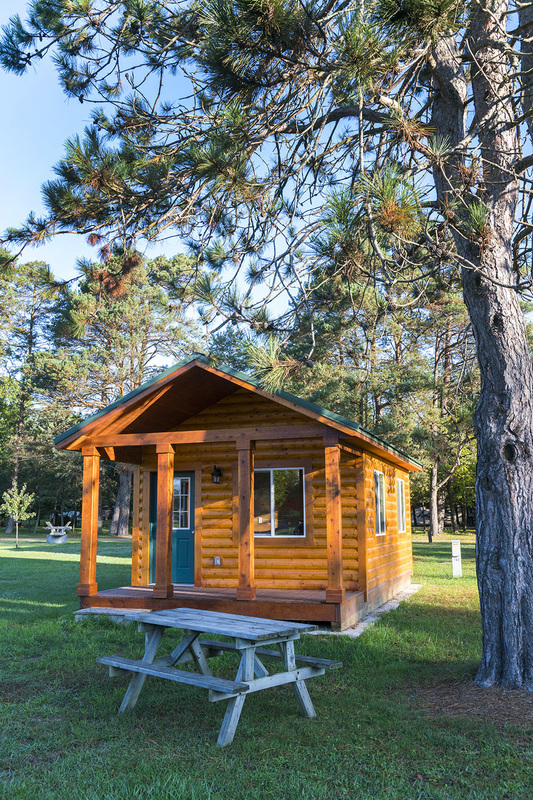 The kitchen has a large camp style electric range, with griddle and oven, a water heater, large sinks, freezers, refrigerators, storage, cooking and eating utensils. The Family Group Camp nightly rate is $225/night with a 3-night minimum reservation.